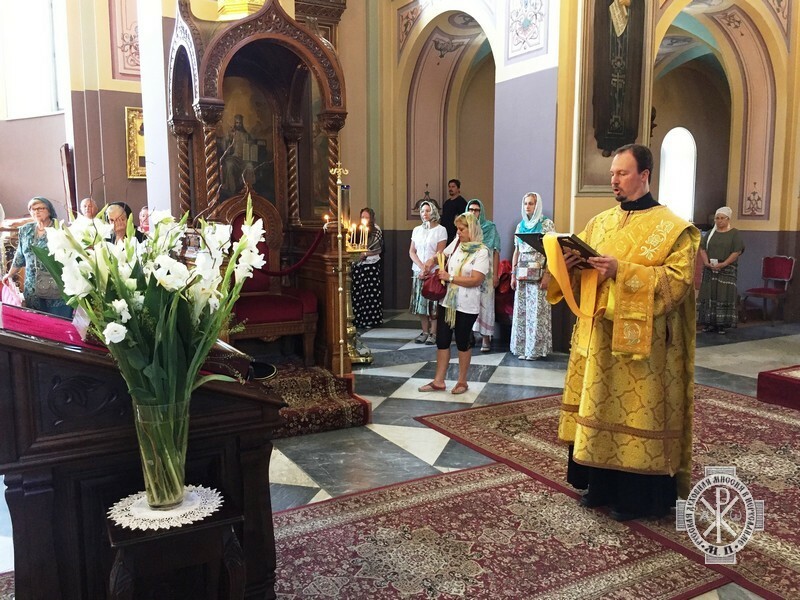 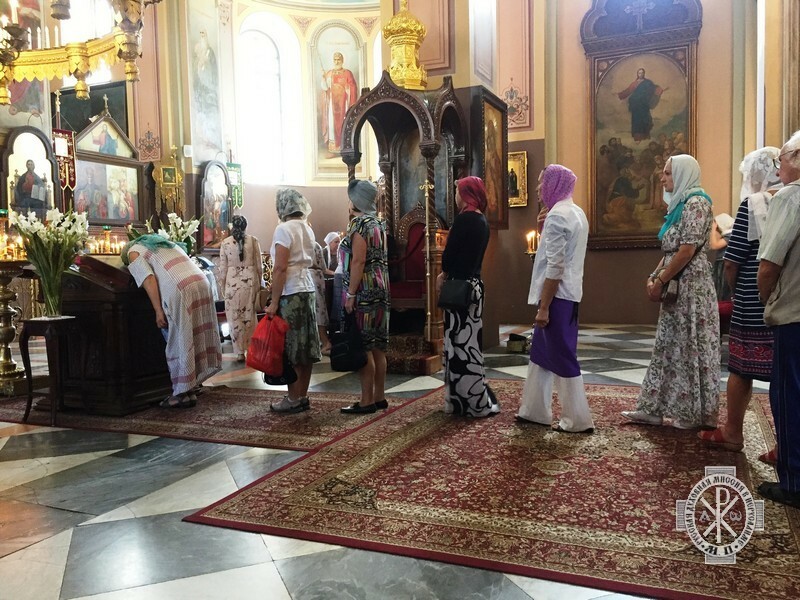 On September 16, 2018, the 16th Sunday after Pentecost, Archbishop Peter of Chicago & Mid-America (ROCOR) led the Divine Liturgy at the Trinity Cathedral of the Russian Ecclesiastical Mission (Mosocow Patriarchate) in Jerusalem. 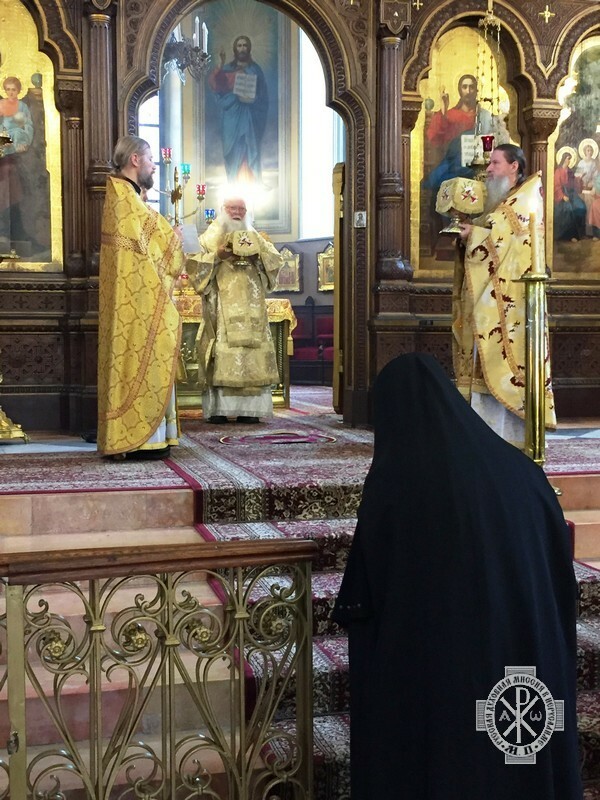 Serving with Archbishop Peter were the Head of the Russian Ecclesiastical Mission (REM-MP) Archimandrite Alexander (Elisov), member of the REM-MP Igumen Leonty (Kozlov), cleric of the REM-MP Deacon Vyacheslav Senin, and Protodeacon Alexander Kichakov, cleric of the Diocese of Chicago & Mid-America. 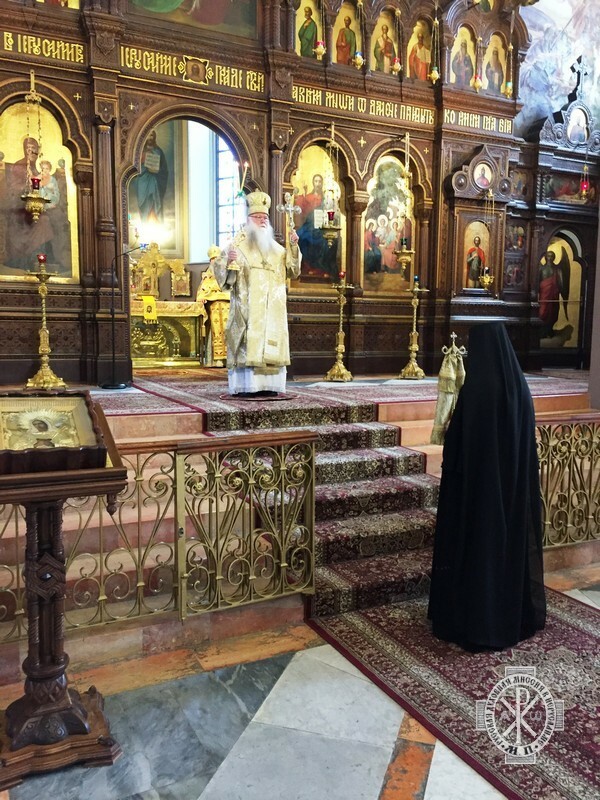 Following the augmented litany Archbishop Peter read the prayer for peace in Ukraine. 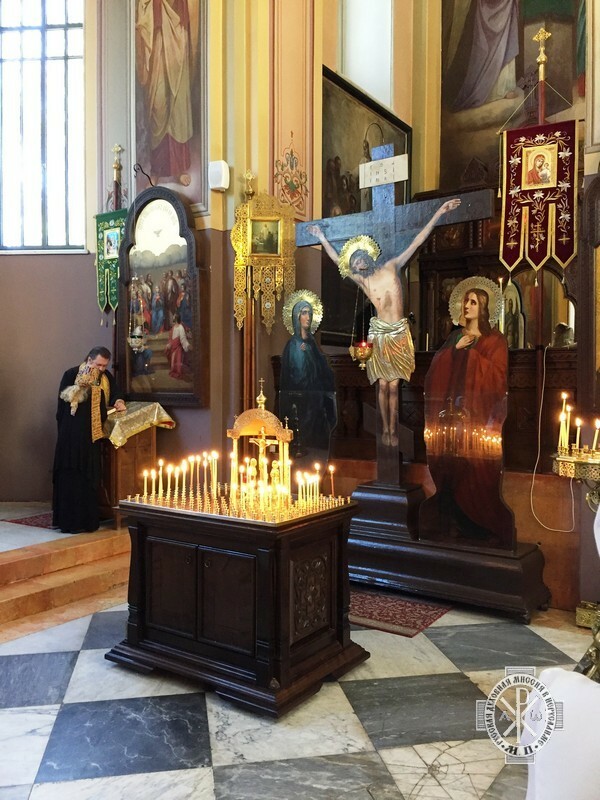 Following the Divine Liturgy Vladyka Peter thanked Archimandrite Alexander for his warm hospitality and cordiality, noting that he desired for him God’s help and strength in carrying out his obedience in the Holy Land during this complicated and troubled time. 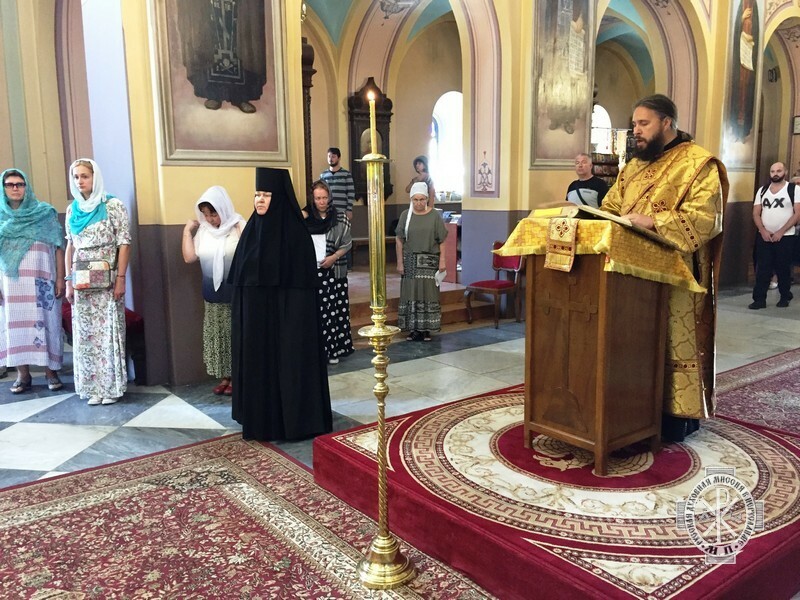 In his reply Archimandrite Alexander noted the extraordinary importance of the oneness of the Russian Orthodox Church Moscow Patriarchate and the Russian Orthodox Church Outside Russia, which now, in a renewed time of division, is an example of unanimity in the living out of the Law of Christ. 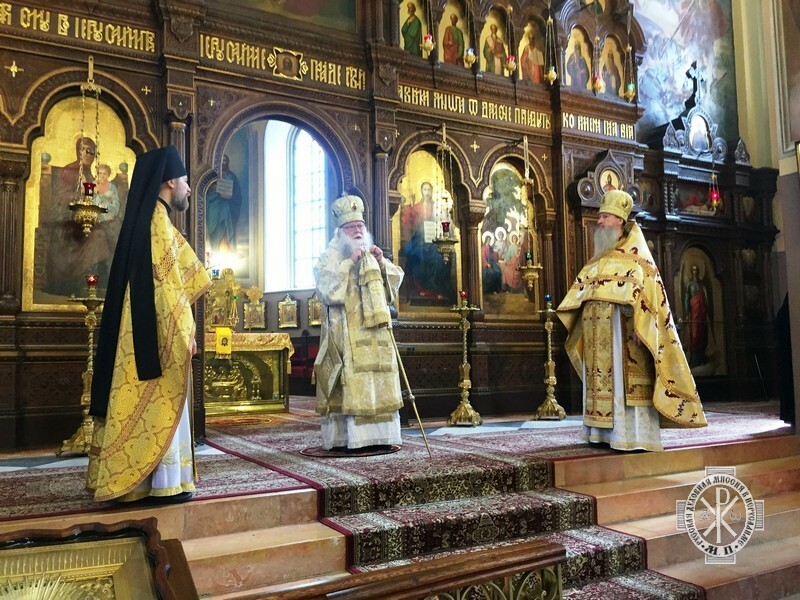 In commemoration of this Divine Service and visit, Archimandrite Alexander presented a gift to Archbishop Peter: a souvenir Paschal egg on which is an image of the Trinity Cathedral in Jerusalem.